The Premier League season has already started picking up the pace and there are some mouthwatering clashes this weekend. Liverpool travel to White Hart Lane and the likes of Chelsea and Manchester United host newly promoted sides. Here at Soccerlens we bring you some Fantasy Football tips which will help you decide your squad for Game week 3. Christian Benteke – The Belgian striker completed his transfer to Crystal Palace earlier this month and is expected to make his debut against Bournemouth this week. 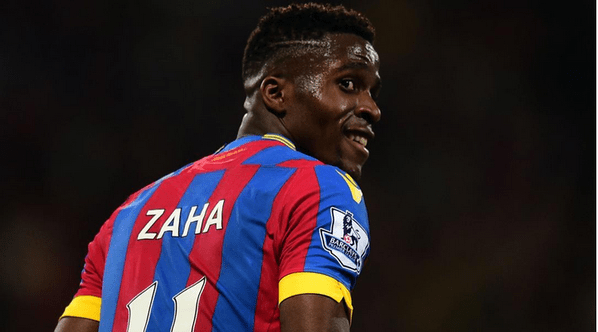 The former Liverpool striker thrives where there is reasonable aerial services and Palace seems a perfect fit for him on paper. Alan Pardew’s side crossed the ball more than any other side last season and Benteke should benefit from that. Furthermore, dead ball specialists like Cabaye are likely to improve his goal scoring chances as well. Also, it is important to note that Palace have a favorable series of games cling their way now. The match against Bournemouth will be followed by matches against Middlesbrough, Sunderland, Stoke and Everton. Another shrewd addition could be the new Southampton signing Nathan Redmond. The former Norwich winger is categorized as a midfielder in Fantasy Premier League and plays as a striker for the Saints. Considering their next few fixtures (Sunderland and Swansea at home), the England winger is likely to get on the score sheet and will bag bonus points because of his categorization as a midfielder. As for the defensive options, Virgil Van Dijk and Gareth McAuley are great options for this week. Both are priced reasonably and are regular starters for their side. Finally, Arsenal and have easy fixtures this week and the likes of Cech, Ozil and Hazard could prove to be excellent additions if you fancy some superstar additions. Playing fantasy football this weekend? Fantasy football can be time consuming, and with only £100m or so to spend on players, may are left behind. But what more can you do with fantasy football? How about picking only three players and only bothering with goals scored? This is FTSY, a new way to play the ultimate game in fantasy sports. Read more about FTSY here.